We use strong 26 gauge PBR steel panel for all buildings and trim ensure the highest quality metal buildings. You dream it and we will help you design it. 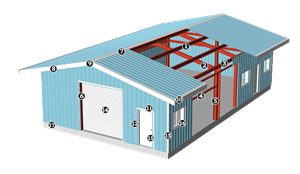 From metal building kits to hay-barns, shops, covered storage, and custom buildings.